Best Tips for Selling Your Connecticut Home. With the real estate market getting more competitive and the majority of buyers shopping on the internet it is best to present your home for sale in the best possible way as possible. Here are some great tips for sellers to get their Connecticut home ready for sale. For more tips and information on selling and buying in Fairfield County, Connecticut visit DMK Real Estate website in Darien, Ct. Please leave comments on original post below. The need to keep the house clean - and not scare potential home buyers away - means that kids can't throw their school books on the dining room table, Dad has to pick up his stinky socks, and even the pets need to toe the line. Keeping the house clean is a good first step, but it isn't the only step. Have you ever walked into a home and been immediately assaulted by nasty odors? Cigarettes, grease, cooking odors, diapers and pets all leave their mark on the way a home smells. Have carpets, curtains & upholstery professionally cleaned. Keep the dog bathed and groomed. Place potpourri or candles in random areas in home. We become habituated to certain things, including sounds. If you've ever lived near railroad tracks, you understand. A few tips to avoid strangers in your home hearing the yappy dog next door. Light and bright are the deal way to present your home to buyers. Change all light bulbs to higher wattage bulbs & leave on for showings. Paint OR clean the walls. Replace heavy drapes with lightweight fabric that allows natural light into the home. Make sure that the lawn is mowed. If you're on a tight budget and can't afford a professional designer, make some simple changes that appeal to buyers. Set the dining room table with attractive dinnerware or create a cozy nook in the bedroom with a small table and chairs. Group items in threes, use different heights, and keep it simple. Fresh flowers add so much to a home, from masking odors to adding pops of color and texture. Bathrooms are important. Get rid of the countertop clutter and add fluffy towels and a new shower curtain. Lock up or remove valuables, weapons, prescription drugs and money. Don't leave personal items - especially paperwork with your financial information - lying around in plain sight. Here's a few extra tips to clean up your exterior. 1. Power wash the exterior siding. Fix peeling or cracking paint. 2. Clean out your gutters and roof. If rusting or bent, have them replaced. 3. Wash all of your windows both outside and inside. 4. Remove any dead vegetation & sweep walkways. 5. Keep lawn mowed. Edge sidewalks. 6. Remove weeds or grass. 7. Trim trees and bushes. Ensure branches are not touching your roof or too close to power lines. 8. Keep lawn and gardening equipment, bikes or other children's toys stowed away and out of sight. 9. Keep garbage and recycling barrels in the garage or otherwise out of sight. 10. Repair any broken fencing or any other areas in clear disrepair. My success is built on your happiness by providing a quality experience with 1st class service. 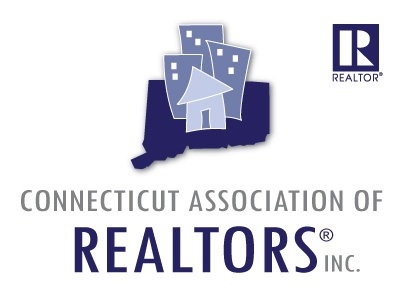 Responsibilities of Landlords and Tenants in Connecticut. 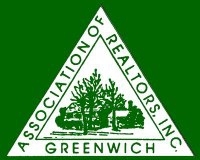 Greenwich, Ct Homes Sales Up Rentals Down YTD Sept ~ 2013. 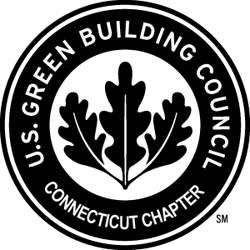 Ct. Realtor’s learning about Green Homes. 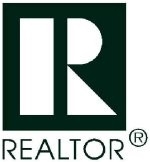 Average Home Sale Price UP 7. 63% for Darien, Ct.